Victoria Rohner is an associate with Hinkhouse Williams Walsh LLP. Victoria’s practice is concentrated in civil litigation, particularly in the area of insurance coverage defense. Victoria has represented domestic and international insurers in connection with complex coverage litigation and claims analysis and counseling for over twenty years. Victoria has represented insurers in several major environmental pollution litigations including a multi-action coverage matter arising out of contamination of a community’s drinking water with TCE. She has also represented insurers in coverage litigation with major U.S. corporations, including petroleum and chemical companies. Victoria also has extensive experience in analyzing insurance policies and claims. 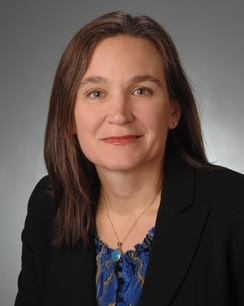 She has counseled insurer clients on issues such as whether to provide an insured with a defense, the potential implications of wrongfully refusing to defend, reservation of rights, the likelihood of success on specific coverage defenses, and the potential exposure of an insurance claim. Victoria has obtained summary judgment for her insurer clients on various coverage issues and dismissals for several non-insurer clients on procedural and other grounds. She also prevailed in a sexual harassment suit brought on behalf of a pro bono client.